The NSW government is set to announce a 10 per cent tax on all online bets. ONLINE gamblers in NSW will be slugged a 10 per cent tax on every bet they place in a new measure to be announced in next week's state budget. The Berejiklian government could rake in about $100 million a year from the levy due to be imposed from January 1. About two per cent - or $40 million - of the revenue raised will be set aside for the racing industry, The Australian reported on Wednesday. "Following an extensive consultation period with stakeholders, this decision will resolve the disconnect between the jurisdiction where gambling activity occurs and where it is taxed," Treasurer Dominic Perrottet said. "The introduction of a point of consumption tax is an important step to ensure that we are levelling the playing field given the wagering tax paid by onsite operators." 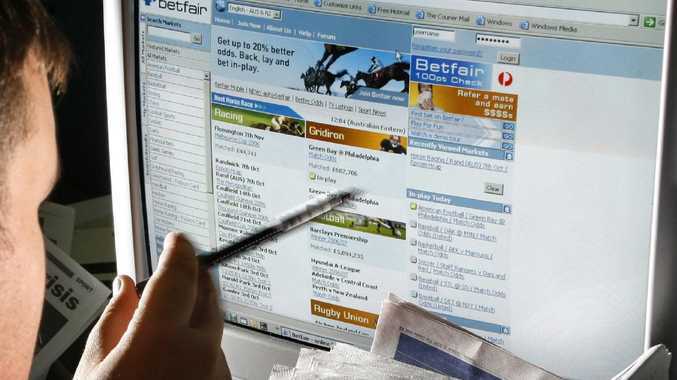 The tax, which will affect digital bookmakers like Ladbrokes and Sportsbet, is similar to other measures planned by three other state governments. In Victoria the tax will be eight per cent and in Queensland and South Australia, 15 per cent. Western Australia and Tasmania are expected to follow in the coming months.